Heat oven to 400°F. 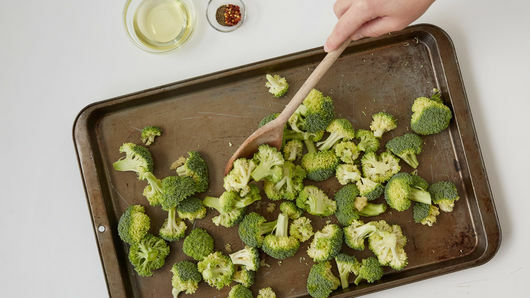 Place broccoli in single layer in 15x10x1-inch pan. 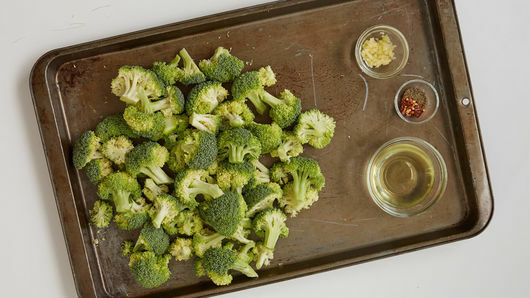 Stir garlic into broccoli to combine. 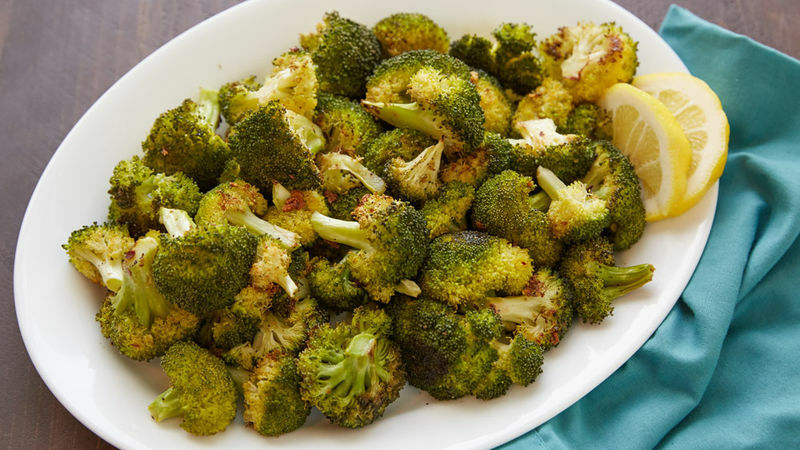 Toss broccoli with grated lemon peel or fresh grated Parmesan cheese before serving. If you don’t have crushed red pepper flakes, sprinkle with a little Sriracha. Line pan with foil for easy cleanup.